Carbonadi Ultra Premium Vodka has a terrific story, pedigree and of course a simply amazing product. Jet Center events is honored to have partnered with the Carbonadi team on this event and are thrilled that the reach of this new and growing company has become so vast, so quickly! A quality product well deserving of success! 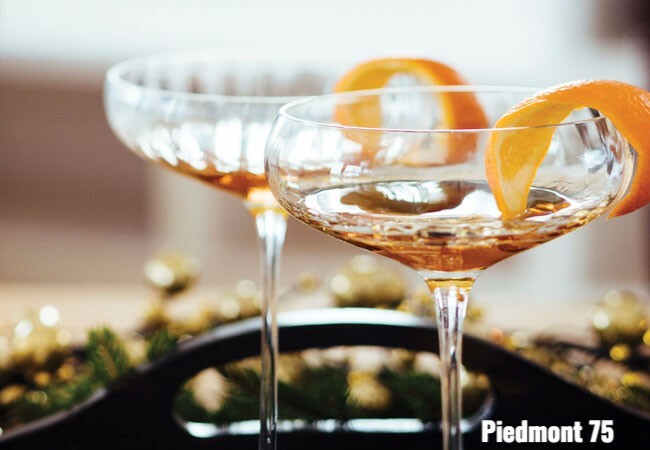 “Should old acquaintance be forgot, and auld lang syne?” Let’s raise our crystals filled to the brim with Carbonadi cocktails, like our Piedmont 75 shown above, to celebrate the holidays with dear friends and family and toast in the 2018 New Year! We celebrate with many more places to enjoy Carbonadi, which have been notated with an asterisk*. Thank you for your love and enthusiasm for Carbonadi. Salute!